According to a new CreditCards.com survey, 21 percent of Americans with debt said they expect to die still owing debt, an increase from 18 percent last year and 9 percent in 2013. Roughly half of the respondent still expect to be paying off their debts when they are in their sixties. The average U.S. household has nearly $130,000 in debt, with mortgages typically accounting for the biggest debt load. This paints a bleak picture of few people expecting financial security in their later years. To avoid struggling with debt for decades, you should make a plan to get out of debt today. Many people believe that it will be hard to pay off their debts during their 30’s and 40’s because this is when they are forming new households and raising children. The number of factors weighing on their finances is overwhelming and there is little room for saving money and paying down debts. Fortunately, there are a number of actions that can be taken to free up more of your money for debt repayment. Here are some steps you can take to get out of debt. The key to get out of debt quickly is to set a plan and stick to it until your debts are eliminated. Some people choose to attack the loans with the higher interest rates first, which minimizes what you pay in the end. Others choose to focus on the smallest loans first, allowing you to see progress more quickly. Whichever way you choose, stick to it until you are successful at eliminating your debt. Credit cards typically carry the highest interest rates, increasing your debt substantially the longer you carry a balance. The average household owes approximately $10,000 in credit card debt and the average credit card percentage rate is over 14 percent. Lowering the interest rate you are paying for your credit cards can give you more breathing room. You can try calling the issuer and asking for a lower rate. If you have a good repayment history, they will be more willing to grant your request. You can also look into a 0 percent interest balance-transfer credit card that will give you some time to pay down higher interest rate debt. According to CreditCards.com, 1 in 6 households pay only the minimum monthly payment on credit cards. At this rate, it would take more than a decade to pay off the balance and the added interest. To find more money to put towards your debts, go through your budget and eliminate unnecessary spending until you can get your finances back on track. Going through a little deprivation now will be well worth it when you finally get out of debt. 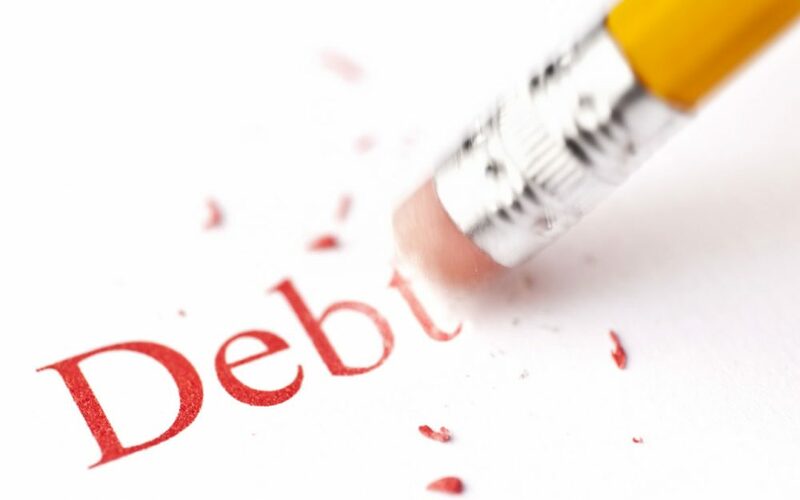 If you’re feeling paralyzed by debt and can’t think of a way to fix your situation, you need a good debt counselor who can properly evaluate your situation and recommend possible solutions. Sometimes, you cannot do it on your own and there is nothing wrong with getting help. The sooner you get help, the sooner you will be able to get out from under your debt load and start planning for the future.